Have you ever wondered if your young adult, new adult, or middle grade manuscript would hook a teen reader? We all have. So what better way to find out then a contest with the talented teens of TEEN EYES EDITORIAL. Here’s a bit about the editors . . .
Brent Taylor lives in Louisville, Kentucky. 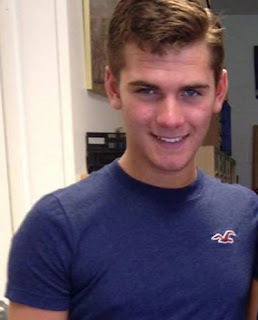 He’s an ex-gymnast and worked as a children’s and YA specialist at a New York-based literary agency for two years. His articles have appeared in School Library Journal and VOYA, and he is a contributing writer at Lambda Literary and Huffington Post Teen. Julie’s name is actually Julianne, but nobody ever remembers that. She became serious about being a book blogger while procrastinating finishing her NaNoWriMo novel and hasn’t been able to leave the publishing world since. A book blogger for three years, Julie is also the assistant for YA author C.J. Redwine, and a critique partner or occasional beta reader to anyone who asks. She wrote her first book at age nine and has dozens of false starts for novels since then. Despite this, Julie was one of five winners in a short story competition judged by several published authors and a finalist in a competition to get a short story published in a HarperTeen anthology. When not doing any of the above, she’s staring at her far-too-large to-be-read pile and trying to figure out what to read next. To the world outside of her computer, Julie’s just a girl in NYC trying to get her BA in English Literature and a Publishing Certificate despite the lure of British television. Julie is a sucker for anything with a good romance in it, especially if it’s also historical fiction, fantasy, steampunk, sci-fi, dystopian, cyberpunk, or contemporary. “Time-travel,” “fairy tale retelling,” and “Downton Abbey” are some of her major buzz words. 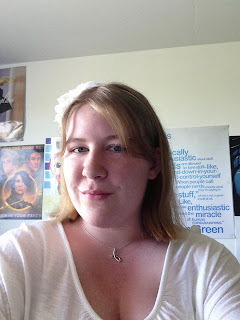 You can find Julie on twitter, tumblr, and her YA book review blog. Grace is a fourteen year old who likes to think that she is more like an adult. She’s known that she’s wanted to go into the publishing industry since she was twelve, and was absolutely certain of it after attending BookExpo America in 2012 and falling in love with the publishing world. During those two years, Grace has been passionately blogging about books, entering writing competitions, and critiquing for authors such as Kimberly Sabatini and Lindsay Cummings. Grace is also an intern for Immortal Ink Publishing and is a Paper Lantern Lit Trendsetter. Grace has written one novel, among her many short stories and poems, and is currently hard at work on her second. In her year of competing, she has never lost a writing competition, and is her school’s representative in the district competition. She reads about 2-3 books per day and can never read or write enough. When not working or daydreaming about New York City, she is known as an identical twin and a dancer. Overall, the number one thing that Grace loves in stories is passion. She loves poetic or lyrical writing, fairy tale retellings, books based on folk tales, and she still is in love with the paranormal genre. She loves romance overall, but is also in love with historical fiction, contemporary, sci-fi, and fantasy. Grace wants a book that will make her feel alive or overly emotional. You can find Grace on her book review blog or on Twitter. Each editor will read different type of entries for new adult, young adult, and middle grade manuscripts (please see info. 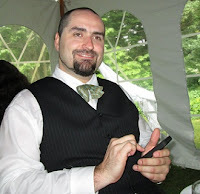 below each editor’s picture for their genre tastes) on these three blogs . . .
Brenda Drake will host editor Brent Taylor who will judge query letters. The winner will receive a $100 gift voucher to use towards any of his editorial services (expires in 2014). Matthew MacNish will host editor Grace Smith who will judge 1st pages (250-word max.). The winner will receive a 20K in-depth manuscript critique. Holly Bodger will host editor Julie Daly who will judge logline pitches. The winner will receive a reader’s report of their full manuscript. The submission posts on all three blogs will go live on August 5 at 8AM EDT (NY time) and close on August 7 at 9PM EDT. Here’s the great part, you can enter on one, two, or all three of the blogs for a chance to win the prize on that blog (one prize per person). You don’t have to follow us on our blogs or on twitter or spread the word to win, but we’d love it if you did. All you have to do is come back and enter on the submission post on August 5. The Pitch Madness submission window is nearly a month away, and the buzz is building with questions about the details. Here are a few to keep you until all the official posts go up in the upcoming weeks. Pitch Madness is a contest to win a request from one or more of the participating agents. So far, we have 13 agents signed up. I will have an agent post soon, and will start tweeting about agents today on Twitter, so look for my tweets @brendadrake. The submission window will be open on August 24 for 24 hours. I will have exact times posted soon, but you should have plenty of time to get your submissions in. There is no limit of how many entries will be accepted. So basically everyone who sends in an entry during the submission window, will make it into the first round of slush readers. Please note: All entries sent before or after the allotted times will be deleted. There will be 60 finalist moving onto the agent round. 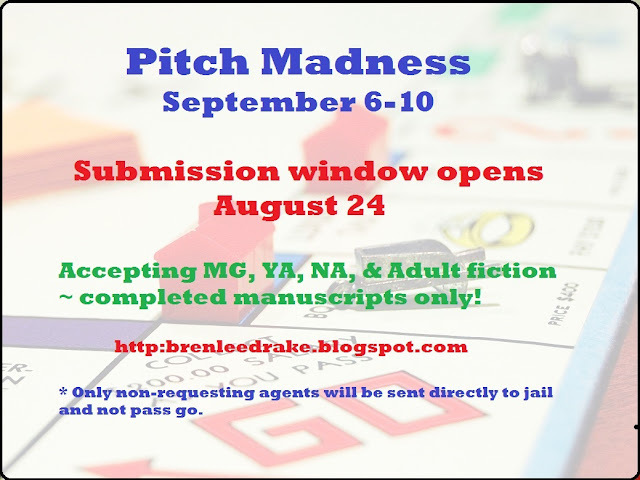 Pitch Madness will be accepting Middle Grade, Young Adult, New Adult, and Adult completed fiction manuscripts only. This time around we will not accept non-fiction. Only one entry per writer this round. What do you need to enter? A 35-word (max) pitch and the first 250 words of your finished manuscript. If the 250th word falls in the middle of a sentence go to the end of the sentence. I will post formatting instructions before the submission window opens, along with the email address to send your entries to. Pitch Madness will be on four blogs and each blog host will have a co-host helping her choose their top 15 entries. I will have a post up following the Teen Eyes Editorial contest to introduce the hosts, co-hosts, and slush readers. Submission window will be on August 24 it will be open for 24 hours and there will not be a limit for the entries. Sept. 10 at 12PM EDT (Noon) the agents requests are revealed, and right afterward is the tying agents challenge round. There will be a #PitMad Twitter Pitch Party, but we are still working out the date with agents and will let you know soon. That’s it for now. More to come soon! Question on the Pitch Contest – Microsoft Word counts hyphenated words as 1 when doing word counts (i.e., 17-year-old = 1). Is the “35 words exactly” requirement going to go by the Microsoft Word counting system or the “regular humans would probably count that as 3 words” system? We go by the Microsoft Word counts. So hyphened words would be one word. Where can I find the rules for the Teen Eyes Editorial? Is pitch word-count the same as with Pitch Madness? Are they first-come, first-served with a limit to the number of entries (if so, how many)? Thanks for hosting more awesome contests! The entry will be opened until that Wednesday the 7th at 9PM EDT. Ah, both are so exciting! A quick question on Pitch Madness, though: is it just novel manuscripts? Or are novellas allowed too? Sorry if this has been asked before/you addressed it and I missed it! When you say 35 exact does that mean no more and no less? Or is less Ok? I ask merely because I made that mistake once and completely flubbed my pitch when I could’ve gone with a shorter one. I meant “max” but for some reason, I typed “exact”. Whoops! How can I enter for the Teen Eyes Editorial ?